Generally, the only vehicles we have current model year version of are the brands we offer new: Lamborghini, Pagani, Lotus and Karma. But every once in a while, we get lucky enough to come into the possession of an incredible like-new vehicle that has barely even been used, and that’s the face for the vehicle we’re looking at today. With just 8 miles on the odometer, this 2018 Porsche 911 GT3 might as well be brand-new. It’s currently for sale right here in North Miami Beach FL, so come give it a once over if you think you might be interested. 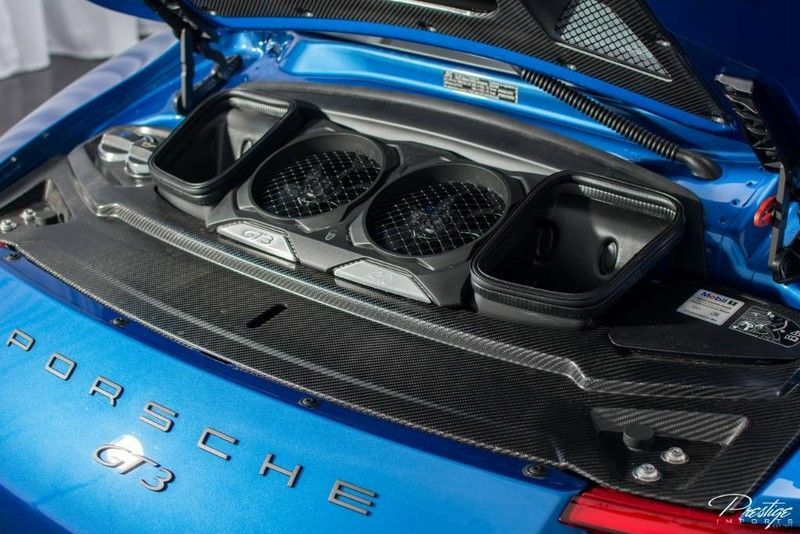 Powering the 2018 911 GT3 is a 4.0L V6 engine capable of doling out a massive 500 horsepower alongside 339 pound-feet of torque. Thanks to that kind of power, the Porsche 911 GT3 is capable of hitting 60 miles per hour in just 3.2 seconds. Other performance-enhancing features include its rear wing spoiler, Z-speed tires, a 7-speed transmission with automatic and manual shift modes, a driver-selectable mode system, and much more. Of course, performance isn’t the only thing incredible about this vehicle. While it is an exotic sports car at its core, it’s also a premium luxury vehicle. So, it’s packed with outstanding features inside and out to make each time you hit the road enjoyable! 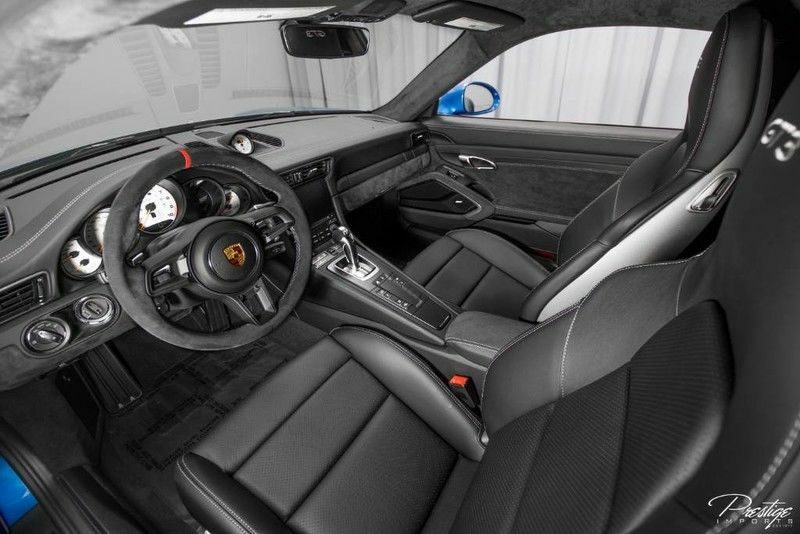 These features include things like the Porsche Communication Management system, 2 LCD monitors, Smart Device Integration, dual-zone front automatic air conditioning, 4-way sport seats plus, and more. If you’re interested in making this absolutely incredible 2018 Porsche 911 GT3 your own, so you can rack up a few more than 8 miles on it, then be sure to schedule a test drive right here on our website or by giving us a call at the sales desk. This entry was posted on Wednesday, May 23rd, 2018 at 2:36 pm	and is filed under Porsche. You can follow any responses to this entry through the RSS 2.0 feed. You can skip to the end and leave a response. Pinging is currently not allowed.